Large classical townhouse, extending to 5 bays and rising to 3 storeys with basement. Rubble-built with ashlar dressings and rusticated quoins, the house was altered in the 19th century with several openings enlarged on the ground and first floors. 12-pane sash windows sit throughout. The roof is in slate. The front elevation features a central doorway in an architraved and pedimented doorpiece approached via steps with iron handrails. A second door, originally a window, sits to the right. The 3 bay rear elevation features central stair windows. A recessed lower 2 storey wing (Nos. 5-7 High Street) projects to the west. The interior retains most of the original woodwork, plasterwork and staircases, and some classroom fittings. 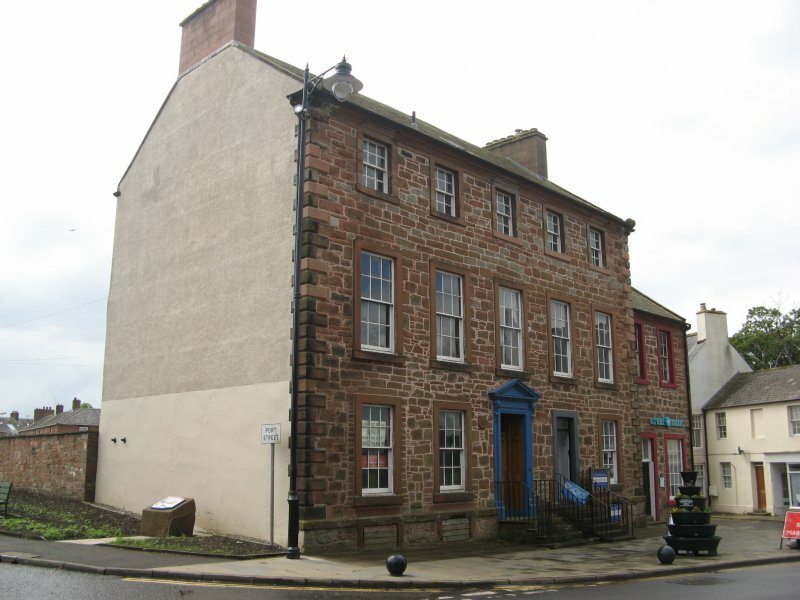 The house was purchased by the Burgh Council in the 1790s and became the Annan Academy in 1802, at which Thomas Carlyle was both pupil and teacher. The preacher Edward Irving and explorer Hugh Clapperton also studied here. The Academy closed in 1820 with the opening of Hugh Ker's replacement block on Ednam Street. 19 May 1989: The Annandale Observer reports that the Annan and District Business and Professional Women's Club is advancing plans to convert the building into a Thomas Carlyle museum. 14 October 1994: The Annandale Observer reports that the Friends of Annandale and Eskdale Museums are fighting plans to develop the building into retail premises and residential accommodation, to be leased to a local housing association on a long-term lease. 20 October 1994: The Annandale Herald repeats the story. 7 December 1994: The Dumfries and Galloway Standard reports that local Councillors are set to back plans to convert the school for retail and residential uses. 8 December 1994: The Annandale Herald reports that the school remains in the ownership of Annandale and Eskdale District Council. A petition of 555 signatures has been submitted against plans for its development. 14 December 1994: The Dumfries and Galloway Standard reports that the National Trust for Scotland and the Scottish Historic Buildings Trust have also objected to the plans. August 1996: External inspection reveals that the front ground floor is in use as retail premises, although the rear is completely boarded up. 1 November 1996: The Annandale Observer reports that the building is in need of major repairs both inside and out, with the fabric of the building needing protection against future deterioration. Conversion into housing is now unlikely due to costs and the building's listed status. 31 January 1997: The Annandale Observer reports that a survey of the building's condition is now due, with a feasibility study on its future options to follow. August 1997: The Castles of Scotland Preservation Trust expresses an interest in restoring the property, along with other agencies. 4 September 1998: The Annandale Observer reports that Councillors are to transfer the building from the housing department to the community resources department, opening up the possibility of Heritage Lottery funding. A £1,000 feasibility study would then be carried out. 16 September 1998: The Dumfries and Galloway Standard repeats the story. 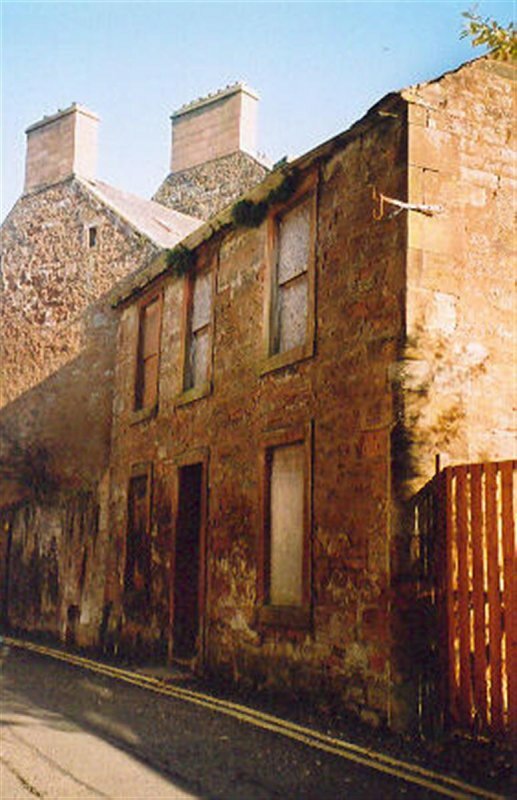 November 2001: External inspection reveals deterioration to the building fabric. November 2003: External inspection reveals no change. 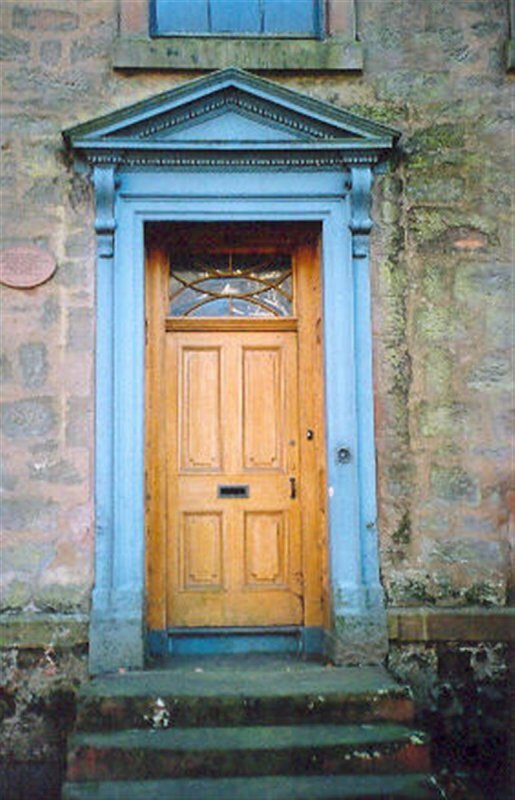 26 March 2004: The Dumfries and Galloway Standard reports on plans to restore the building as a visitor centre, museum, gallery, research room, marriage suite, café and community facility. An atrium would be built to the rear. 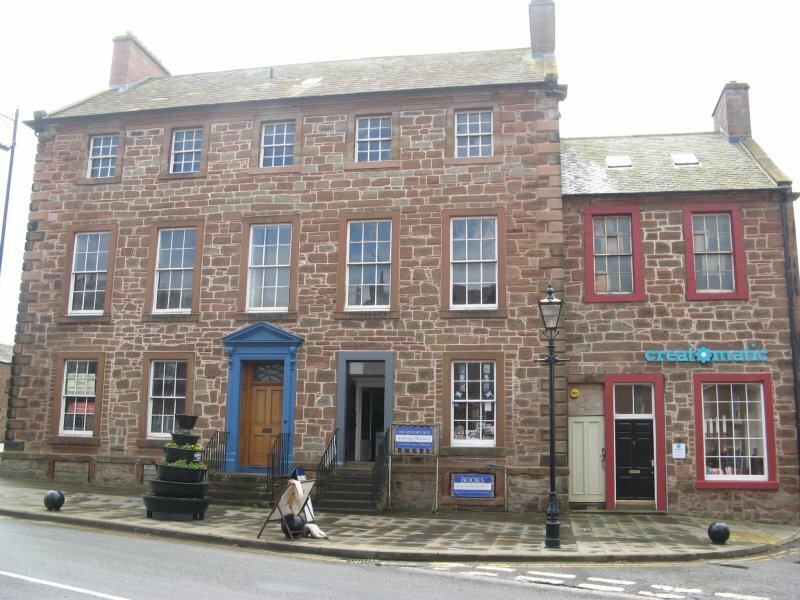 However, Dumfries and Galloway Council does not have the necessary funds and the building has been declared surplus to requirements by the Education and Community Services Committee. It is to be offered to a building preservation trust. November 2004: Local planners report that permissions have been granted works have not commenced as yet. January 2005: SCT understands that the National Trust for Scotland's Little Houses Scheme is now involved with the property. The Association for Building Preservation Trusts reports that funding is now in place for the project. 4 March 2005: The Annandale Observer reports that the project is being led by the National Trust for Scotland, Solway Heritage and Dumfries and Galloway Council. Architectural Heritage Fund grant aid has been agreed. A feasibility study is being conducted. 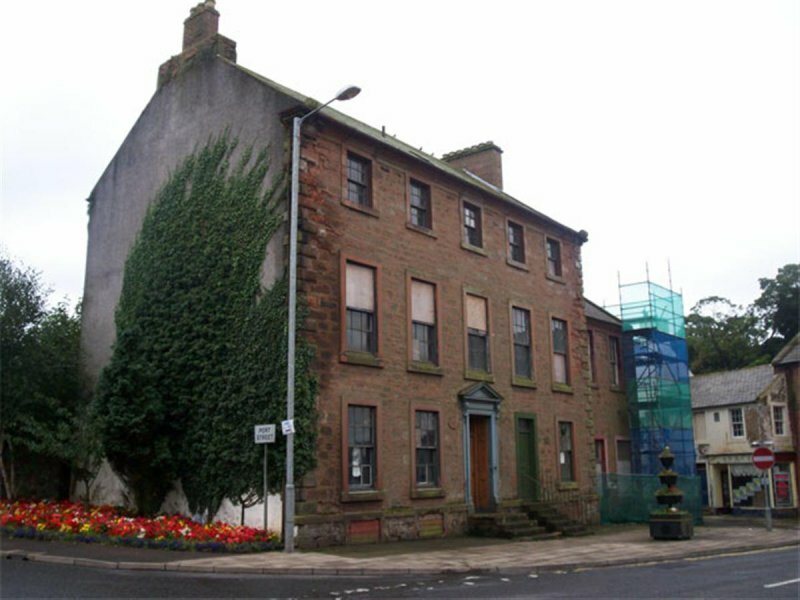 13 May 2005: The Herald reports that Dumfries and Galloway Council has now declared the building surplus to requirements, enabling it to be transferred to a preservation trust for conversion into a Thomas Carlyle museum. 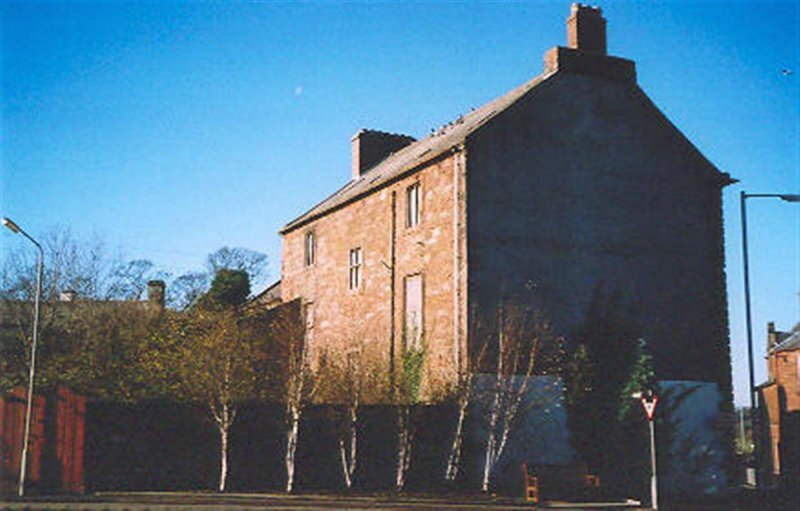 June 2005: NTS Little Houses Scheme reports that the feasibility study on Bridge House is now complete and uses such as housing, services, offices or a resource centre would be feasible. 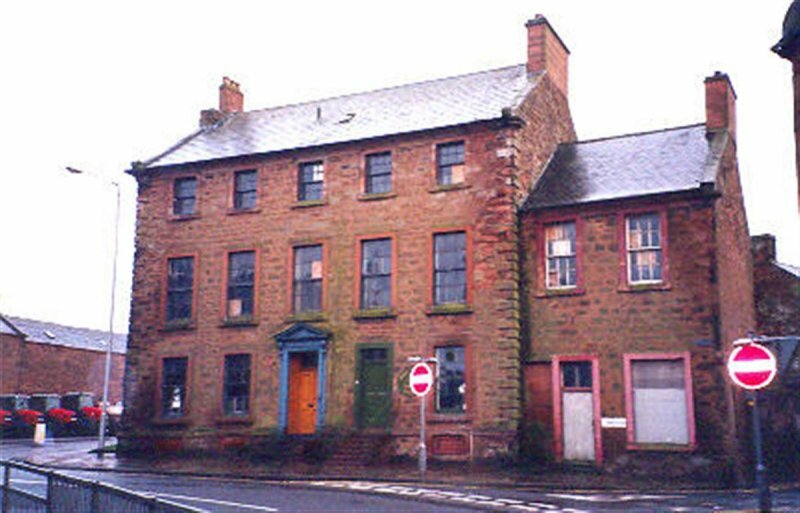 February 2008: Dumfries and Galloway Standard report the Bridge House to be marketed for sale shortly by the Local Authority. 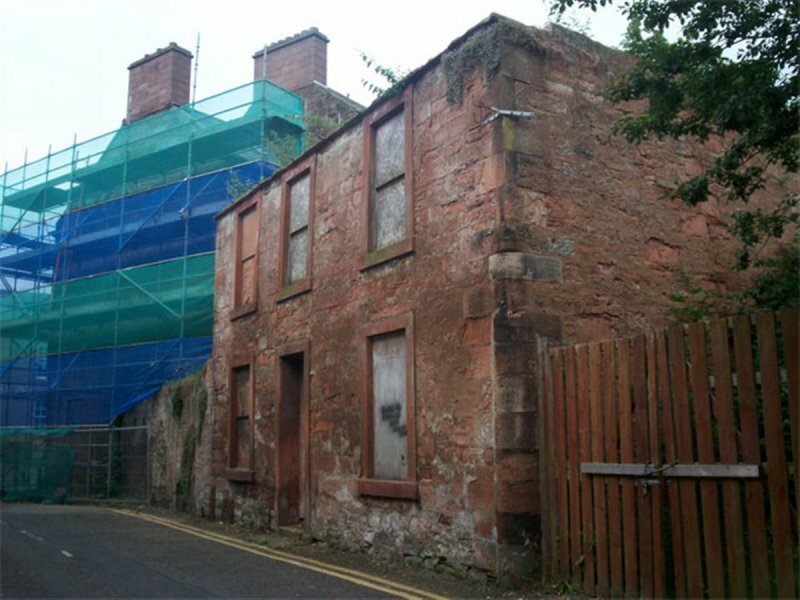 July 2008: External inspection finds that the buildings remain derelict. 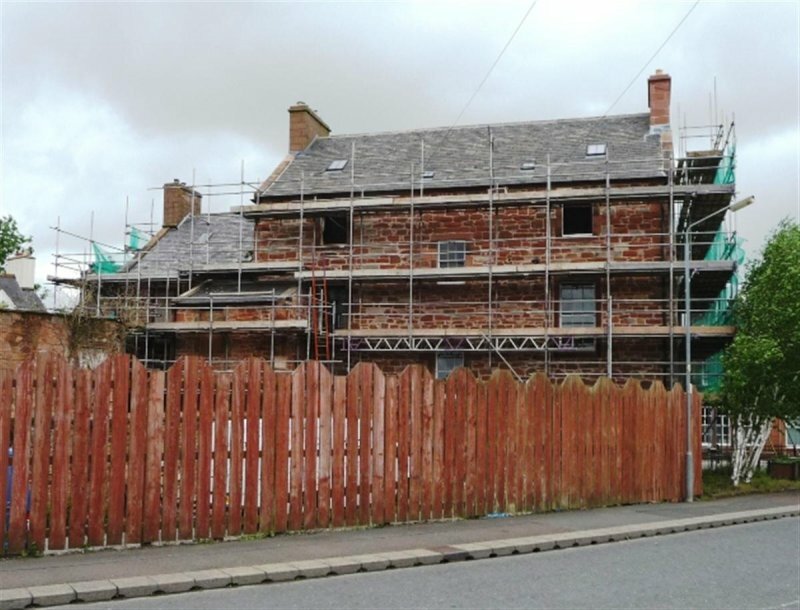 Scaffolding has been erected at no.5 but it is not clear that any work is being undertaken. The windows are in poor condition, many are boarded up. There is considerable spalling of the stonework at the front left of no.9. 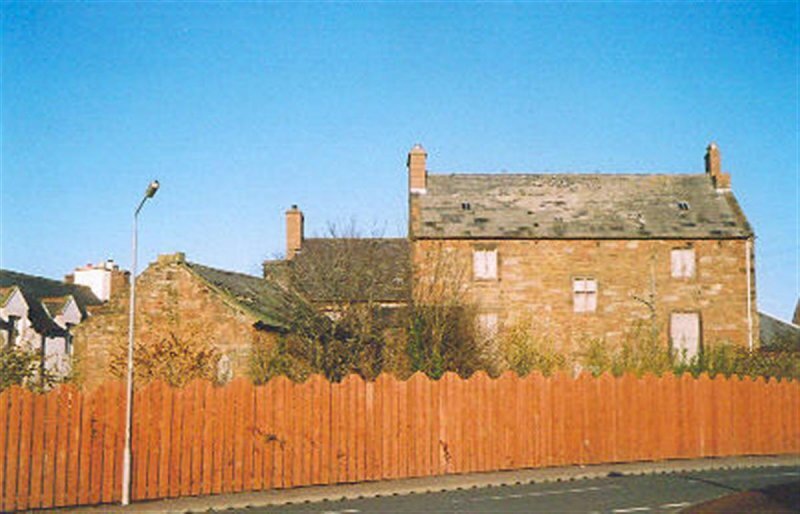 There is a derelict sandstone building to the rear of no. 5. September 2008: Annandale Observer reports that the Local Authority have secured a buyer for the property and are in the process of selling it. January 2010: Annandale Observer reports that the property has been sold and proposals are being drawn up for conversion to mixed use; upper floors will be for private residential use, lower floors will house a shop unit and a unit for community-related use. May 2010: Annandale Observer reports that the property is currently being renovated by Dave Smith. Plans are moving forward to convert one room into a museum documenting the buildings history. 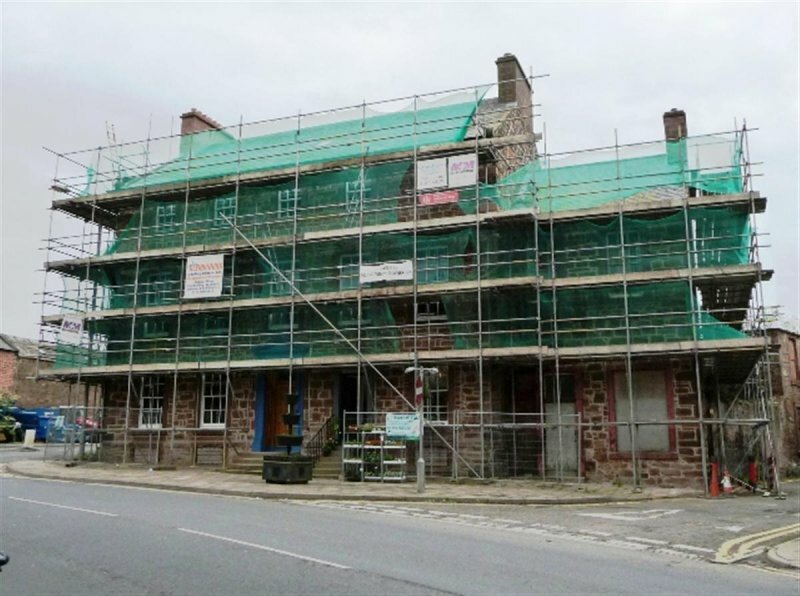 Support in principle for the idea has been gained from Annan Initiative, The Royal burgh of Annan Community Council and Friends of Annandale and Eskdale Museums. Volunteers are being sought. Setting to Restoration In Progress. July 2010: Annandale Observer reports on the progress being made at the restoration of Bridge House. New chimneys have been erected and work to remove concrete mortar pointing for replacment with lime, is underway. May 2011: External inspection finds restoration work continues. The ground floor of No 7 is now in active use. Work on No 9 and upper part of No 7 is due to be completed shortly (scaffolding to come down) work will then switch to No 5. 10 June 2014: External inspection finds the exterior restoration is complete and part of the ground floor completed and occupied. Gifford (1996), pp98-99; Hume (2000), p97.